THE CHESHIRE DESIGN HOUSE: A break from operation craft room! A break from operation craft room! I NEEEEEED to have a break from the art of organisation, its quite clear I a rubbish at it, I stress about it, dream about it and I go 5 steps forward and 10 back....so....I have not given up but I need a creative fix, I have a table at a summer fete at the end of this month so I need to get creating, I have loads of bags to make I have sold loads this week and have some ordered to finish and also exported some of the oilcloth to Italy!! wow get me! 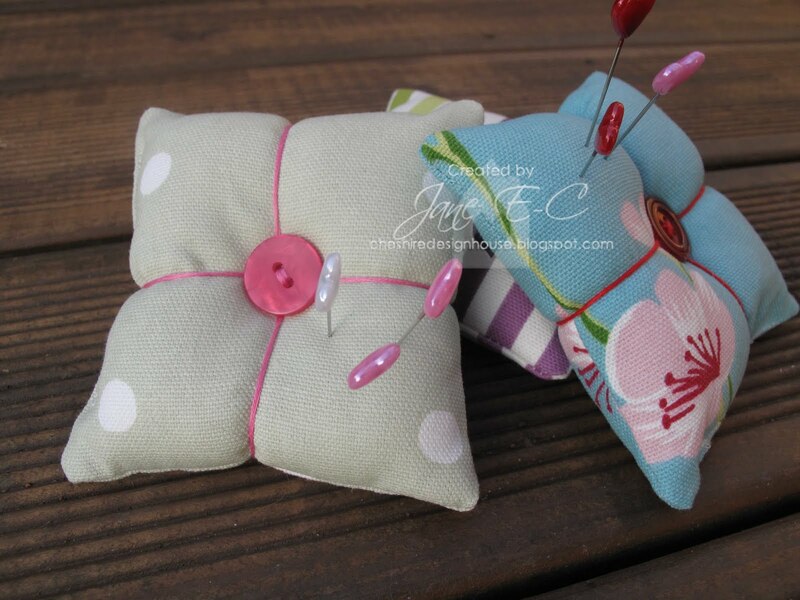 my little pin cushions with heart pins. while I was on a roll I made some very very sweet smelling French lavender hearts too, I have made about 15 and they have all gone to new homes (as well as mine) they help calm the girls (I will try anything!!!!) 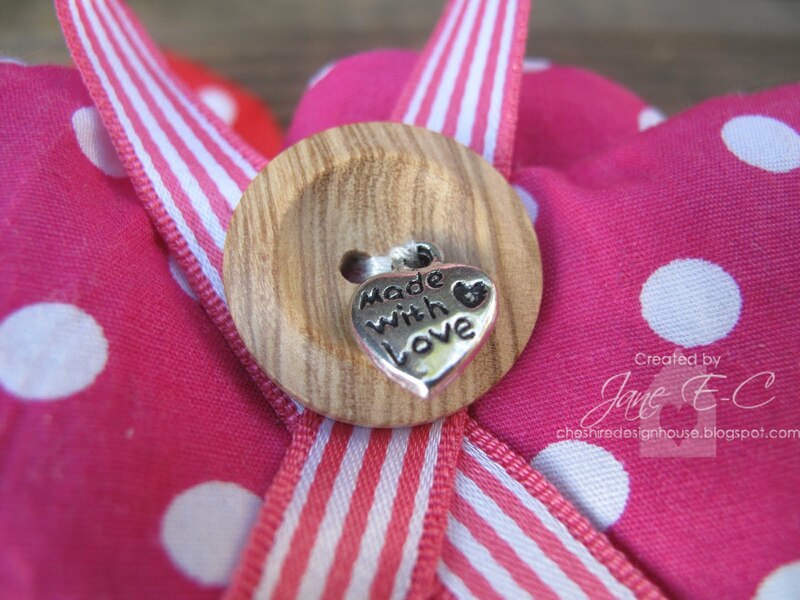 and I love to put them on all my door knobs. I know I promised hints and tips on organising but I need to CREATE! CHUCK IT ALL OUT!!!!! Sooooooo supportive, well I wont have to worry about him soon as he will be engrossed in the footy. By the way I made a load of cards today and some make up bags which have all sold already! 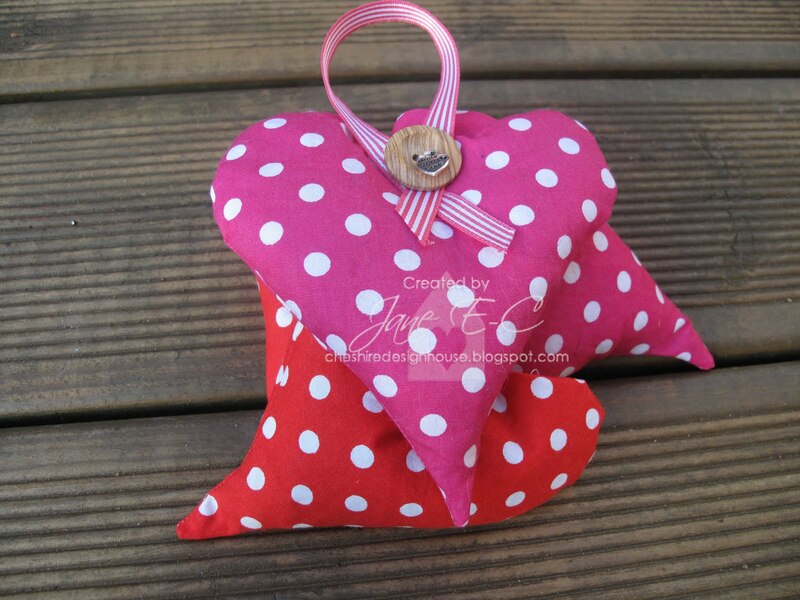 Love the lavender heart bags! are you selling them I have a couple of door handles that would love these? h Peg you are fab you are so kind leaving a comment!!! sometime feels like I am talking to myself....usually I do!! New bag colour what do you think?